Lock in a great price for Motel One Köln-Mediapark – rated 8.6 by recent guests! Multiple coffee stations, very clean, staff wonderful, lovely bar. Comfortable and adequate room. Good value for money. The location was perfect, especially for Karneval! The staff were very friendly and quick to answer any questions I had. The rooms at Motel One are always really nice in my opinion. Very clean, modern, and comfortable. - excellent location (walking distance to Hansaring S-bahn station and the Central Railway Station), - very clean, - comfortable bed, - quiet at night - did not hear noise from the street or adjacent rooms, - cosmetics in bathroom (soap, body wash, shampoo) provided in appropriate amounts (not in tiny bottles like in many hotels). Clean, comfortable, convenient for Media Park and walking distance to the city centre. Good breakfast and helpful staff. I would stay there again. The rooms were comfy and clean. Good cleaning staff. Really nice hotel to stay ! Clean and modern , great location . Walkable distance from the city center / train station . I recommend Motel One . Wonderful, we decided to check out a day earlier and was refunded for the second night of stay!!! Motel One Köln-Mediapark This rating is a reflection of how the property compares to the industry standard when it comes to price, facilities and services available. It's based on a self-evaluation by the property. Use this rating to help choose your stay! Next to the MediaPark in Cologne, the Motel One Köln-Mediapark has modern rooms with free Wi-Fi and a 24-hour front desk. Cologne Cathedral is only just under 1 miless from the property. The rooms here include a flat-screen TV, air conditioning and cable channels. The private bathroom features a shower, hairdryer and towels. A daily buffet breakfast is available for an extra fee, and bars and restaurants can be found within 650 feet of the property. Motel One Köln-Mediapark is 2.5 miles from the Lanxess Arena and just under 1 mile from the Hohe Straße Shopping Street. 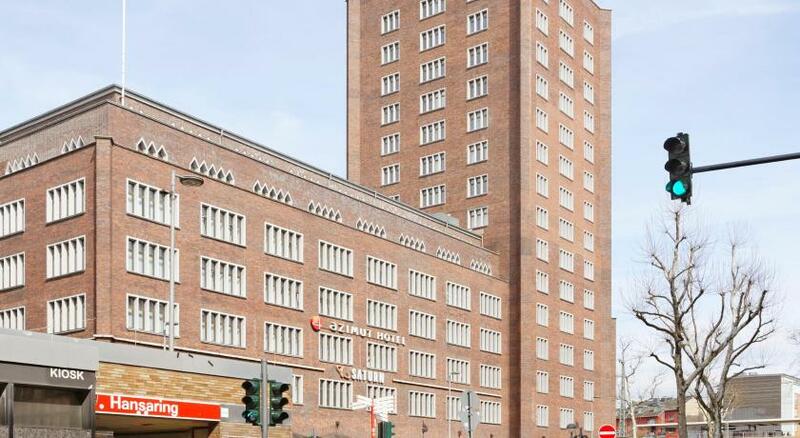 It is only a quarter mile to Hansaring Metro Station. Neustadt Nord is a great choice for travelers interested in restaurants, city trips and beer. When would you like to stay at Motel One Köln-Mediapark? This bright, air-conditioned room has a flat-screen TV and a private bathroom with a rain shower. Hotel surroundings – This neighborhood is a great choice for travelers interested in restaurants, city trips and beer – Check location Great location - show map Guests loved walking around the neighborhood! House Rules Motel One Köln-Mediapark takes special requests – add in the next step! Motel One Köln-Mediapark accepts these cards and reserves the right to temporarily hold an amount prior to arrival. I like hotels with tea and coffee making facilities in the room so the fact it didn't have this was a little annoying as I drink a lot of tea. What was with the single duvet on a king size bed? An English speaking non-finance channel would have been nice. Reception staffs require a trip to India to learn what is hospitality. The breakfast was just bare minimum. A little bit far from the city center. But still nice restaurants are located just around the corner. Very comfrotable and convenient, as always with the Motel One. Very friendly staff at the reception. Would definetely recommend the hotel to anybody. Long line at check-in with just one staff at the reception. As a standard, the room was quite small and didn't have a wardrobe (instead, there was a metal bar with few hangers), so keep in mind that this chain would better fit for short business stay. Hotel and room design and services are almost the same in all MotelOne chain hotels, so you can easily get confident with room spaces and breakfast choices. The room was very clean as usual and quiet. The bed was well comfy. The bio mint shower gel seems to be a standard in MotelOne and I always like it so much. Food selection at breakfast was rather wide, with good quality and affordable (9,50 Euro). Wi-Fi is working well too. Rooms were a bit compact. Pillows and duvet. Poor cosmetics in the bath.